Today I used the Kat Von D Ladybird palette. 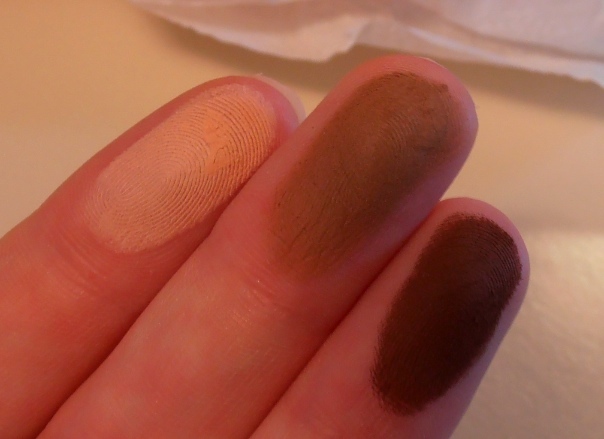 This all-matte palette offers a nice range of warm and cool shades. 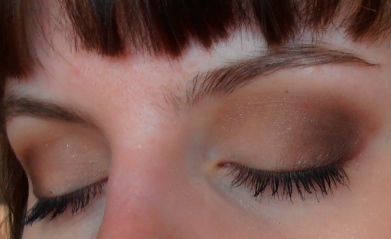 I decided to go for a warm smokey eye using Vespertine, Wölf, and Harlow. I applied Vespertine all over the eye, Wölf into the outer corner and up into the crease, and Harlow to transition between the two colours. 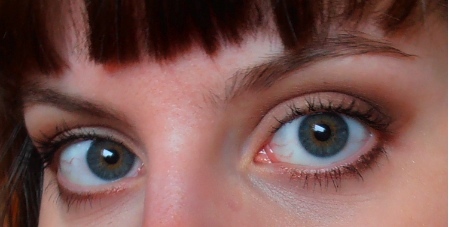 I added the NYX Retractable Eyeliner in Silky Cashmere on the lower lashline for some metallic sheen. This entry was posted in EOTD and tagged Beauty, eotd, eyeshadow, harlow, kat von d, ladybird, makeup, NYX, silky cashmere, swatch, vespertine, wolf.